Hull-Oakes Lumber Company is a Douglas-fir cutting mill nestled in the foothills of the coast range northwest of Monroe, Oregon. 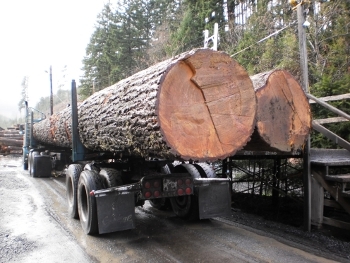 The family-owned operation, founded in 1937 by Ralph Hull, specializes in cutting big timbers up to 85 feet long. There are parts of the mill that still run on steam, making it one of the last commercial steam-powered sawmills in the United States. Hull-Oakes has a 10,000-acre tree farm, broken up into parcels within a 50 mile radius, which helps provide a log supply for its sawmill. Products include: 1” boards, dimension, long dimension, shiplap, tongue and groove, 3” and 4” structural, domestic clears, post and timbers, beams and stringers, and transmission crossarms. 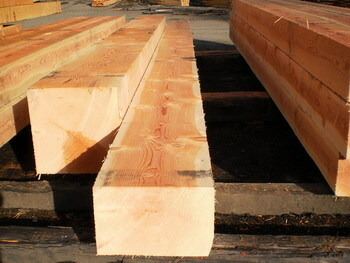 Lumber is offered rough or surfaced; boxed heart or free of heart center (FOHC) option. Hull-Oakes prides itself on providing customer satisfaction with on-time deliveries and high quality products.